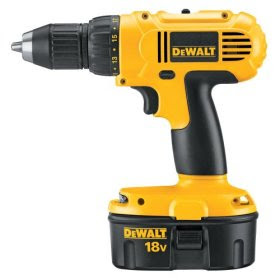 I had just brought my brand new, Illinois Industrial Tools© cordless drill and driver home (it only cost me a few dollars from the Ollie's chain) and in trying to find a place for it to rest until needed, and yet be easily accessible for use and charging. Not having a solution, I ended up with a problem. I hadn't thought about storage. The next day, as I walked in the front door, I saw several segments of ornate garden fencing laying on the front porch and (of course) asked my wife if she was going to use them or discard them. With her blessing, I took one of the segments and started to work on creating a rack. This is the process I used to get from pretty piece of fence (but of little use functionally) to a functional albeit ugly, drill rack. This is crucial to success, in that, one can ruin a lot of pieces with trial and error, if one doesn't plan ahead a bit. So, I grabbed a bit of scrap paper and started to draw about what I wanted the product to do, and how it might do it. This is, by no means, a FINAL plan. Only something to get things going. My next step, was to find something that was fairly easy to work with, and also strong enough to hold up the tool, which had some weight to it. Once I noticed the fencing segments, I detached one and worked with testing it's strength (which just amounted to me trying to bend it easily in my hands). It was a decently strong piece, so I brought it inside. Step 3: Doing the Twist. In this step, I took needle nosed pliers (not really recommended) and later, normal pliers to bend, twist and shape the fence into a kind of a rectangular shape. This would go MUCH easier, if one has a wire bending jig like this one. The lower section would hold the drill (unlike my drawing) and the upper would house the base and transformer. In the first picture, I indicated the cross bar, which is where the front of the drill will rest on. I bent each end in a hook fashion, and snapped it over the two sides. This also made the entire structure much more stable. After I had all my pictures, and the whole Instructable written up and saved, I went to the final thing I needed to do; twist the hooks to one side so they'd slip over a protruding screw or hook on the side of my work bench. One of the ''legs'' broke at the lower joint (remember what I said about rust at the joints?). I don't have any epoxy of any kind (liquid steel, body putty, etc) left in the house, and I didn't want to have to go out and get more, just for one tiny joint. SO, I simply took the hooked end, faced in my hand in the direction I wanted it to face (to the side) and put a hook in the other end. Getting that hook to securely hold onto the rack, was a real trick...this wire does not bend easily (I said that before, didn't I ?). Finally, hung and ready to serve. I DID add a section out front to carry the charging stand and transformer. PS: of course, one does not NEED to hang such a thing from their workbench if they do not wish to. Almost any place one can put in hanging hooks or screws would suffice - a pegboard might even work, but it works best if there is some space under where the screws are (like the space under a table). cool 'ible. I'll build one of them for my dad. have you heard from LateralThinker? i havent heard anything from him in ages. On that link check out Gmoons posted link to the boy that built a nuclear breeder reactor. Almost built, but the only thing that got red hot, luckily for the world, was his backside. no its not me. i dont make bombs, that was just something i found, and wanted to post an instructable. Goodhart, dont you think centimetres are a odd unit? Everything is based on 1000ths. Its only because people want to have a unit like an inch that we have a cm. Well I think as an engineer, in mm, but women use cm in sewing!!!!!!!!!! So you measure kilometers or miles in mm instead ? ;-) Sounds cumbersome, even with only a couple of meters, it gets a bit out of hand. I meant knitting, its early summer here, hay fever making my eyes blurry. Eat your good heart out, its 17.5 Celsius here and rising to a expected 20. As for question re mm, I just recalled you lot still work in inches, which is why NASA programmed a Mars orbiter to orbit below Mars ground level. Oops! I did not say we only used mm, but I did say the cm was a odd ball measurement, some people get the cm and mm confused. When talking about lengths of Kilometres, the mm is no longer needed, being too small a unit. Switching to engineering 2 years later and operating a lathe both at work and home, I used units of 1 thousand of an inch, mixed it with fractions of an inch, number drills, wire gage, metal gage, pounds ounces, etc. Today, I think a lot in inches, when planning a project in my head, but when writing down the final dimensions I switch to metrics. But, 1967 was when NZ got smart, got rid of 12 pennys to a shilling, 20 shillings to a pound and went to dollars and cents. Luckily just in time, before electronic calculators came out, otherwise we would have needed one for calculating costs, a second one to total up materials. otherwise we would have needed one for calculating costs, a second one to total up materials. They Could have designed a calculater that started at base 12 (duodecimal, I believe) and then have overage spill into a base twenty system. But that would get hard to read I suppose.....like a Hexadecimal clock is. I was thinking more about users getting answers mixed up, reading the money calculator as a answer for amount of materials. Did not know you had to calculate your taxes, I though you handed over all your money, and got a penny back? my last job was in a new factory built 1980 but the company began in the early '30s. Some of the paperwork I did, began in the '30s too. The accountants were scared to tell me to stop, just in case they missed something. I wanted to reduce my paper work load, so I stopped doing certain reports, one by one, nobody moaned at all. In fact, the front office clerks told me they were pleased to not have to file my reports any more after NOBODY read them. Might not that be an answer to your tax problems? I was, of course, referring to Sales Tax. In my state, it is 6%, most of the time. But like I said, if you go by that, the tax table will ask for an extra penny now and then (the tax man ALWAYS rounds up). That is our GST>>>Goods & Services Tax. When that came in, there had to be a gap after the old various sales taxes got stopped. We had 4 weeks of bonanza, no tax at all on purchases. Our GST began at 10% since it was a nice round figure,but soon it became 12.5% and governments, if they try increasing it, know they are on the way out. But, Just for YOU, it was about 408 MM deep, ok? oh. i was a bit worried cos the last i heard of him was he was going to the hospital for something. Oh, I didn't know about that. What? another of your knitting projects, Goodhart?